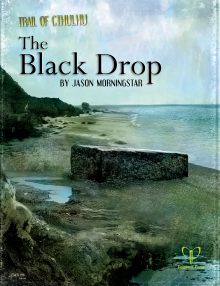 The Black Drop is a one-shot adventure for Trail of Cthulhu written by Jason Morningstar, the award-winning designer of the Shab-al-Hiri Roach and Fiasco. Something slowly gathers strength beneath the frozen basalt of the remote Kerguelen archipelago - a monstrous thing once worshipped and then betrayed, a terrible god from the antediluvian past. It’s time has come again, and mysterious forces gather. Will the Investigators usher in its rebirth - or put an end to it forever? Although it could swing toward the Pulp end of things, there’s plenty of windswept nihilism and reliably cosmic horror for any Purist. Adjusted by the Keeper to taste, it will work well for either style. It features pregenerated characters and extentsive handouts. 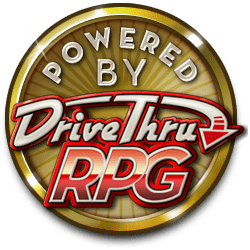 Overall, the Black Drop is a fantastic scenario and one of the strongest scenarios in the Trail line – which, in turn, makes it one of the strongest Cthulhoid RPG scenarios published in recent times. As always, it’s worth getting even if you play Call of Cthulhu instead of Trail, so you can adapt it or take ideas for your own game. This title was added to our catalog on July 01, 2010.